Sometimes I am forced to take a moment, step back and reevaluate exactly how I spend my spare time. Today, while redrawing a terrible comic I drew last year sometime about a wanted pizza I was forced to do just this. Course starts back in a week or so, and then I will be a busy beaver. Until then I will probably continue to draw pizza and feel oddly guilty about it. 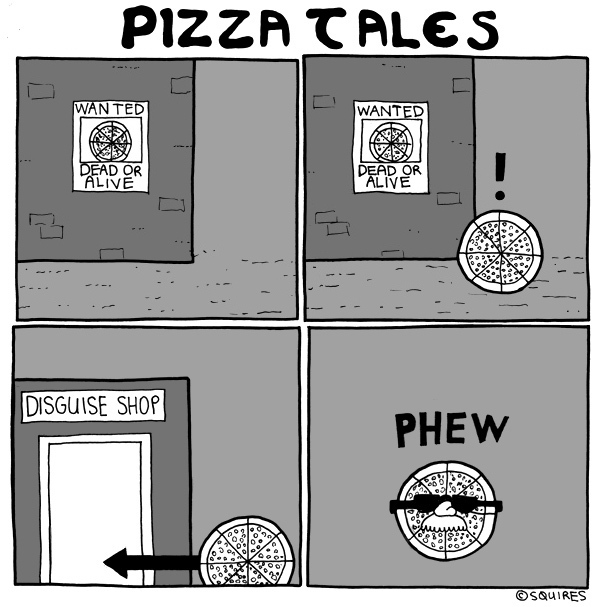 This comic was redrawn so as to be stylistically consistent with the other Pizza Tales. Honestly, I'm not sure exactly why I bothered, there are so many things on my to-do list that are much more important.